You’ve heard this before, right? If there’s bad behaviour, it’s because the lesson isn’t engaging enough? That’s the thinking anyway. Now, ignoring any mention of how we’re supposed to deal with behaviour in the corridor or at break and lunch (no lesson plans there remember), I still feel old fashioned in thinking we still need behaviour management. The quality of learning, teaching and behaviour in schools are inseparable issues, and the responsibility of all staff. I’ve got no problem at all with this. The two are linked, absolutely. The research indicates a strong correlation but I am looking for matching research about causation and it’s direction. Is it really a one-way street? One feeds off the other. Teachers who are confident they have developed great relationships and established clear, reasonable limits are far more likely to deliver more engaging (and sometimes more risky) lessons. 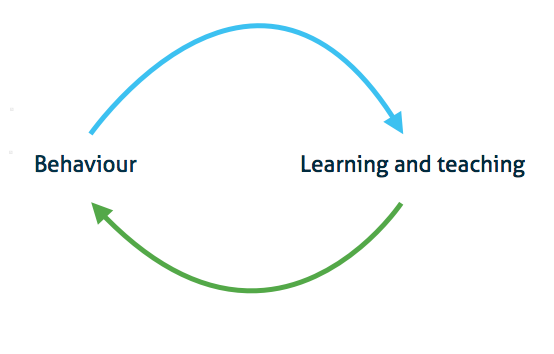 School leaders want more engaging lessons but I think with just a little effort in terms of behaviour we can facilitate far better learning and teaching. Here are three diagrams. The first depicts the safe lesson. The second is a teacher doing their best, trying to provide more engaging lessons, but more often than not, the wheels come off. (And guess what? They end up going back to the safe lessons pretty quickly. But, it’s not their fault!) The last one is what we’re aiming for. 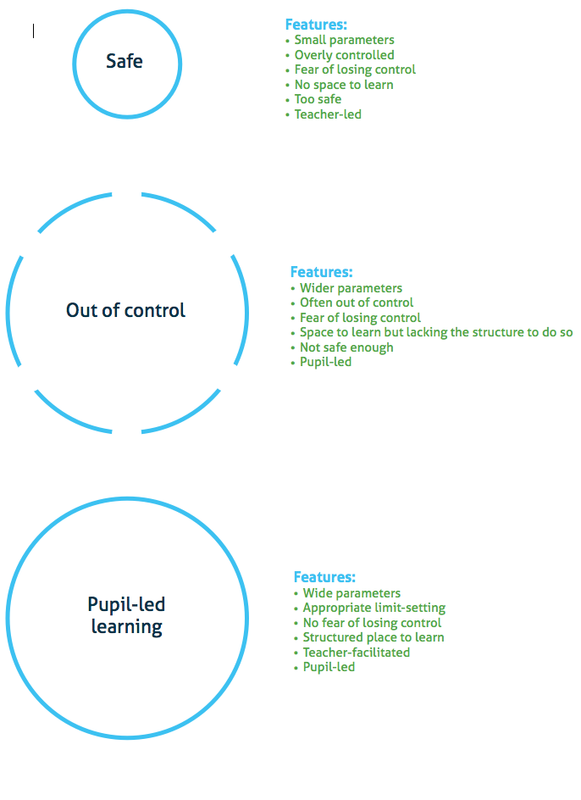 Lessons that are often pupil-led but with teacher as learning facilitator. Teachers hand over control slowly, safely and confidently. Do you want more engaging lessons? We can’t just demand riskier, more engaging lessons. We need to create just a little bit of structure and give a little more support to enable all teachers to deliver the lessons they are capable of.